Coach Bell said when he arrived that recruiting was all about having a "relationship" with the recruit. With the minimal time he has had for 2019 recruiting, he seems to have done pretty well. 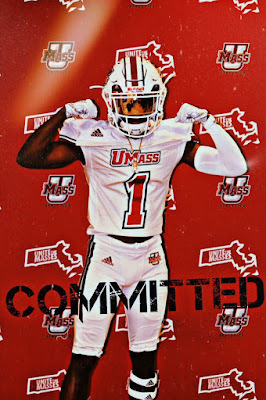 According to the 247Sports recruiting page (I'm a subscriber), UMass has 196 offers out for 2019 (if I counted right). Many of those might not be active as they were from the previous staff. Coach Bell has 150 offers out for 2020 and 30 for 2021. Those numbers are way too much for me to do recruiting posts on each. I'll stick to the "Top Target", "High Choice" and "Interested" categories. The Deseret News has the top plays from each of BYU's games in 2018. The Heights reviews Boston College's 2018 season. Roanoke.com has a profile of Military Bowl analyst Rene Ingoglia. Maine promotes from within to fill their head coaching position. 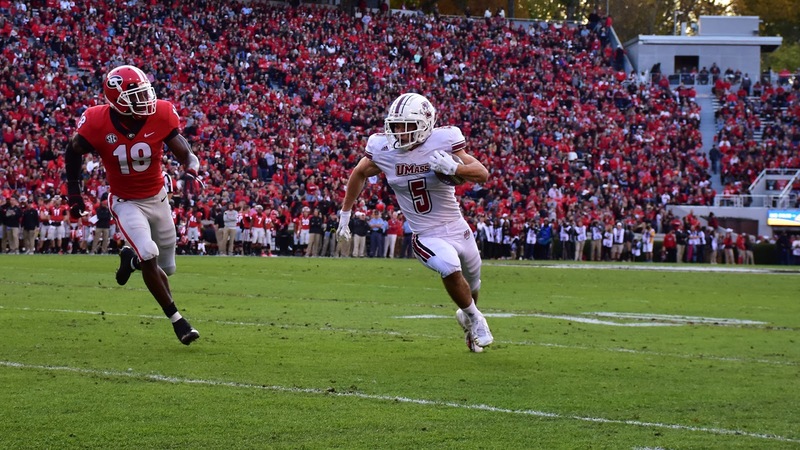 Georgia coach Tom Cream credits sellout crowd for the Dogs win over UMass. A UMass fan at the Georgia game sent me the image below. Dave Barry's (he cracks me up) Year in Review asks "Is there anything good we can say about 2018?" Josh Slay, a 6-1 215 pound OLB from Douglasville, GA has Tweeted he's received an offer from UMass. Douglas County Sentinel Defensive Player-of-the-Year. 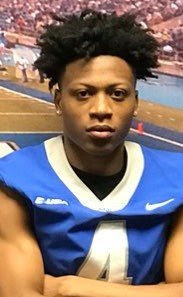 Slay has 28 offers including Army, Navy, Georgia Southern, Charlotte and FAU from FBS. He will take an OV to UMass on January 25th. 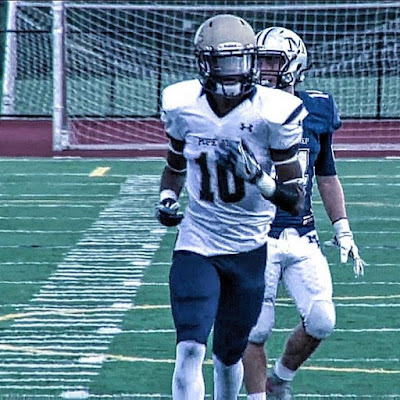 Bryquice Brown a 6-0 180 pound Safety from Dorcester, MA has Tweeted he's received an offer from UMass. I blogged about Brown back in October. Brown will take an OV to Amherst on January 25th. Mike Traini of "Fight Massachusetts" has a post on "Minutemen add a new defensive coordinator and more coaches to staff". The Baltimore Sun also has a story on Abdul-Rahim moving to UMass. Also joining the Minutemen will be Jason Tudryn. He was a four-year letter winner (1992, 93, 94 and 95) for the Minutemen as a Safety. Tudryn's North Carolina Bio. 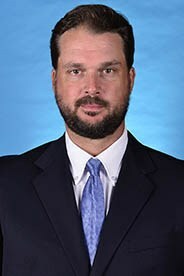 Another North Carolina football staff member will be joining the Minutemen as Rory Pommerining will become general manager/assistant AD for football. Pommerining's North Carolina bio. My take is Coach Bell is building a strong staff. Abdul-Rahim is known as a strong recruiter, which is just what the Minutemen need. Football is roster driven and no amount of coaching can compensate for deficiencies in personnel. Maryland finished 5-7 in 2018. However, the Terps recruit in a different universe that does UMass. Maryland's 2018 recruiting class was ranked 28th by 247Sports. Let's hope some of that recruiting magic moves to UMass. The Minutemen can't win with bottom 10% recruiting classes. Don Brown says there should be twelve teams in the college football playoffs. There should be 16. The top four get byes in the first round. Of the remaining 12 teams five should be the Group-of-Five league champions and the rest drawn by the polls. The Power Five conferences would get 11 (usually) of the 16 slots. Speaking of Don Brown, he said he'd listen if offered a head coaching job. 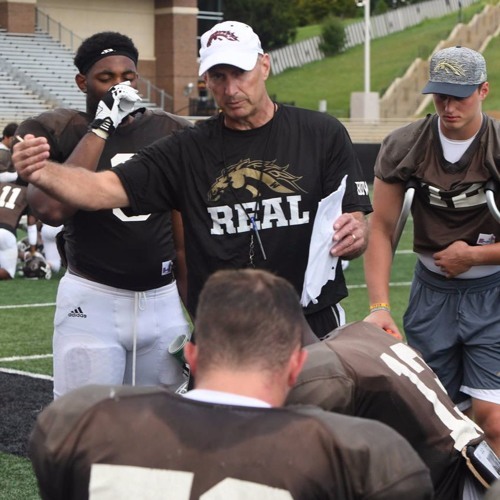 Former UMass assistant coach Ted Roof joins Appalachian State as defensive coordinator. Joining UMass from Maryland is Aazaar Abdul-Rahim. 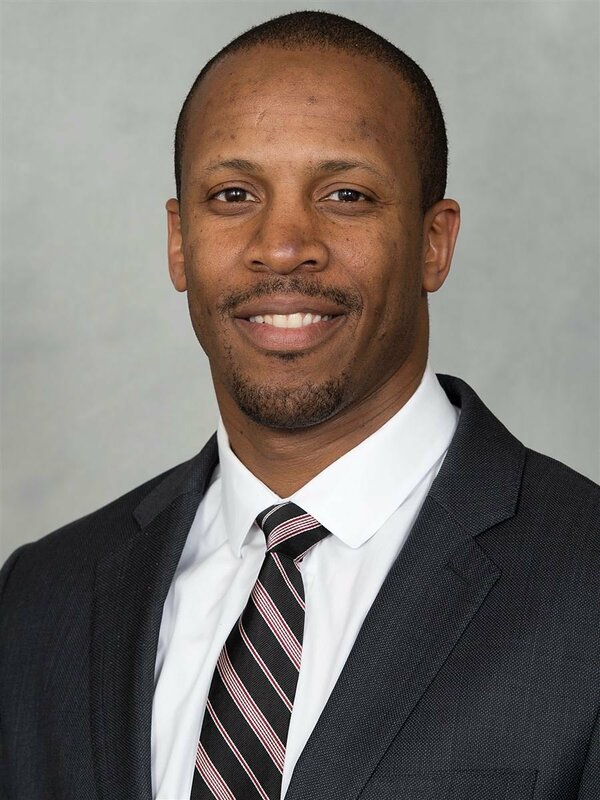 Terps Ace Recruiter Officially Moves on. 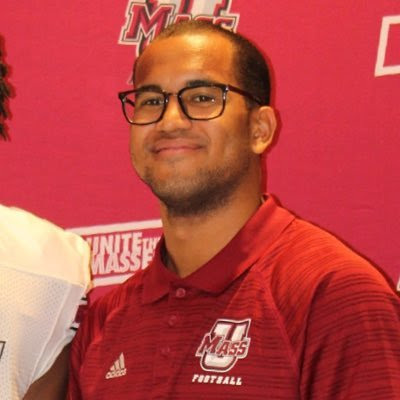 Abdul-Rahim will be Co-Defensive coordinator at UMass. Rahim's Terps bio. More on Rahim here. 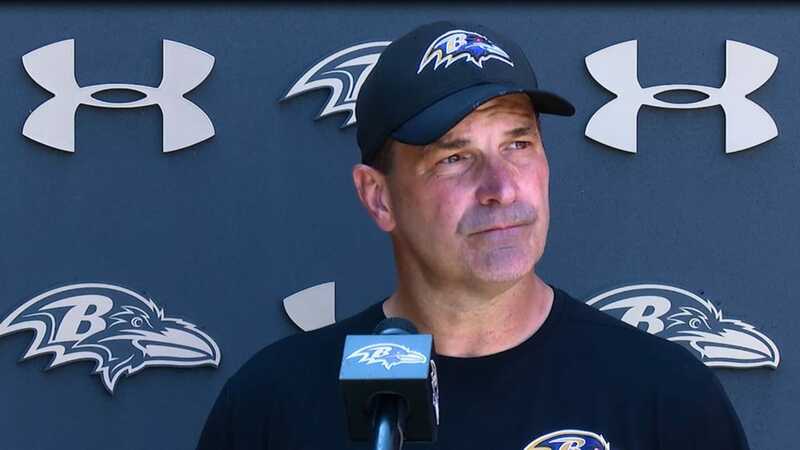 Joining Rahim as Co-Defensive coordinator is David Duggan. He will also coach linebackers. Duggan went to UNH and has extensive New England roots. 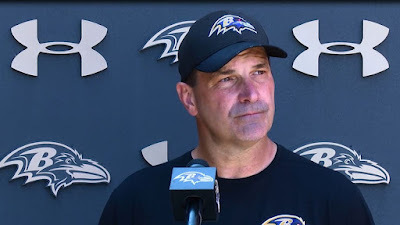 Jon Bills will coach TE's and be the Recruiting Coordinator. Bills was an offensive assistant at FSU. Fredi Knighten will be running backs coach. 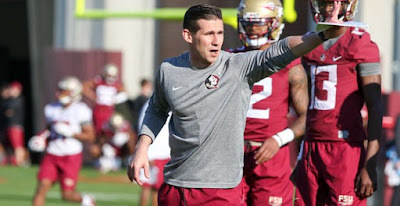 Was assistant QB coach at FSU. Dariyan Wiley, a 6-3 200 pound Athlete from Douglasville, GA has Tweeted he's received an offer from UMass. 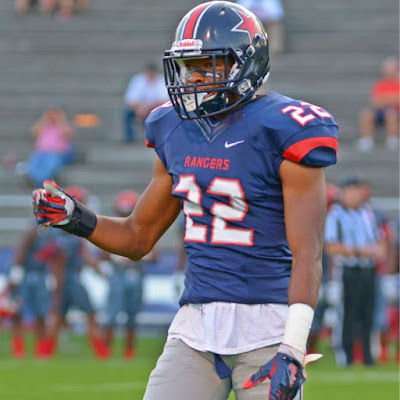 Wiley has 24 offers including many Sun Belt teams, Navy and Kansas. UMass is the only offer from the Northeast. 247Sports has Wiley visiting Amherst on 01/25/19. Mike Traini of "Fight Massachusetts" has two posts on recent letter-of-intent signees. 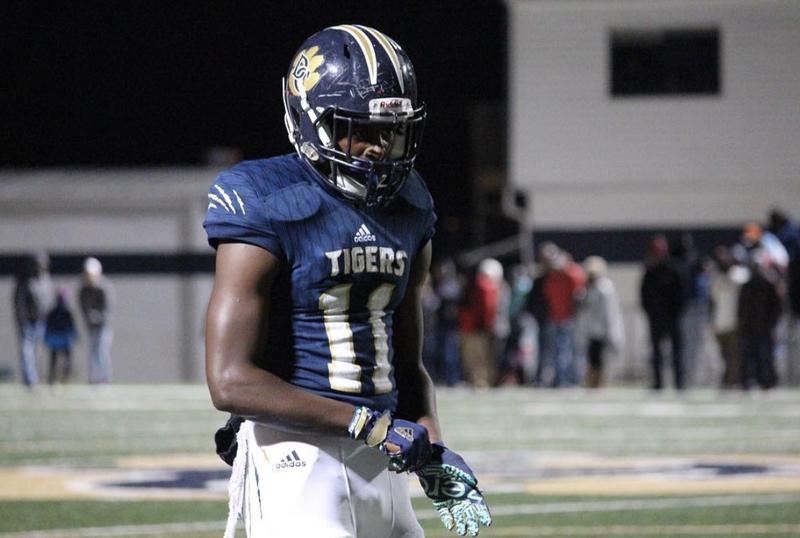 Mike's post on JUCO CB Malik Sanders is here. The Minutemen had three of four 2018 defensive back starters graduate. There should be plenty of playing time for the versatile Sanders. Remember when Don Brown had three or four defensive packages besides his base set? Brown loved DB's. You have to have more than just two guys who are ready to play. Did UMass play the Nickle in 2018? Did we have a Dime package? The new DC should have Isiah Rogers, Malik Sanders, Chris Hunt and Bakhari Goodson. 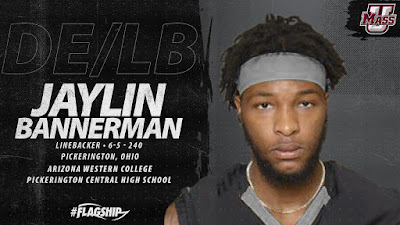 Mike also has a story on JUCO signee Jaylin Bannerman. 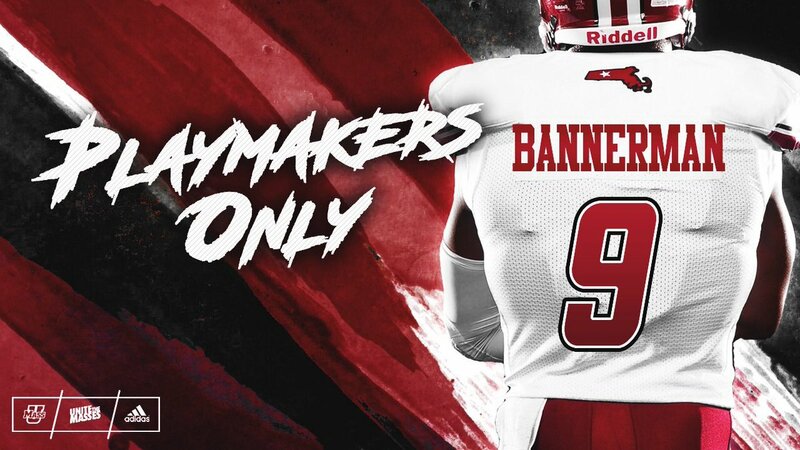 Bannerman fills a position the Minutemen did not possess in 2018--a rush defensive end. UMass finished next-to-last in the entire FBS in sacks last year. We actually tied for last in number of sacks. And it's a good thing that the NCAA apparently does not have an official "QB hurries" stat or we would be a trivia question for the foreseeable future. At 6-5 240, the Minutemen do not have another player in his category. Bannerman probably will be the first UMass recruit since Blake Fronapfel to have a green light from day one. "Son, go in and do your thing." 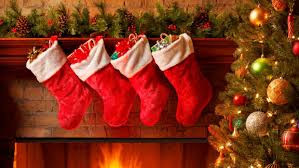 Mrs Blog and I wish all UMass fans, coaches and players a Merry Christmas and a happy holidays. May 2019 bring us many excellent recruits and some victories. We deserve it. 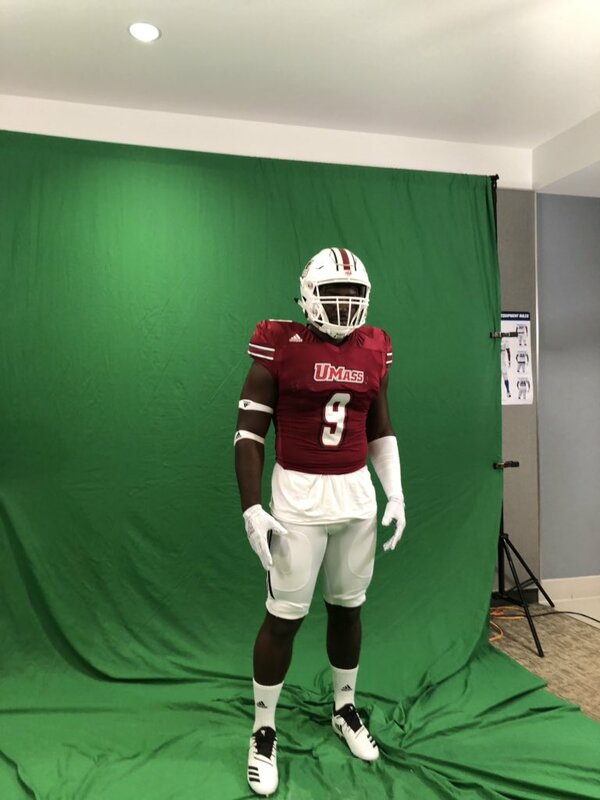 Mike Traini of "Fight Massachusetts" has a post and an interview with 2019 DL recruit Cletus Mathurin. Mathurin is 6-2 290. UMass needs a huge upgrade in size, speed and athleticism in the defensive front seven. Out of a 129 FBS teams UMass finished 123rd in total defense, 125th in rushing defense, 126th in scoring defense and 111th in red zone defense. The Minutemen also finished 128th in sacks. 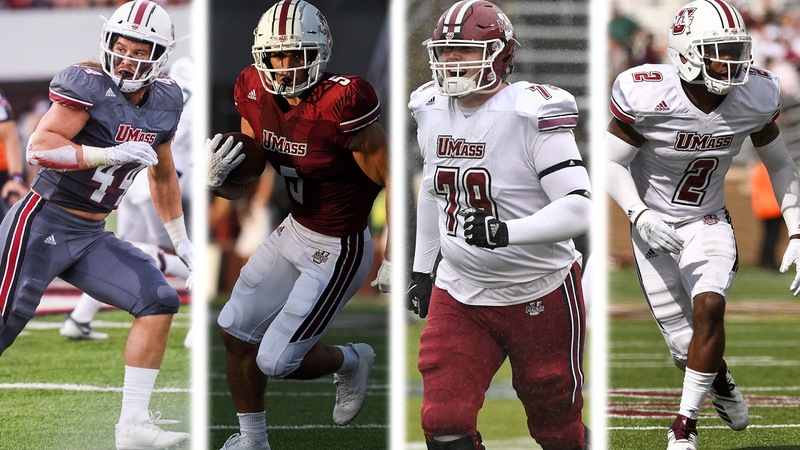 In addition UMass loses defensive linemen Joe Previte (a Phil Steele All-Independent selection) and Basit Dennis to graduation. 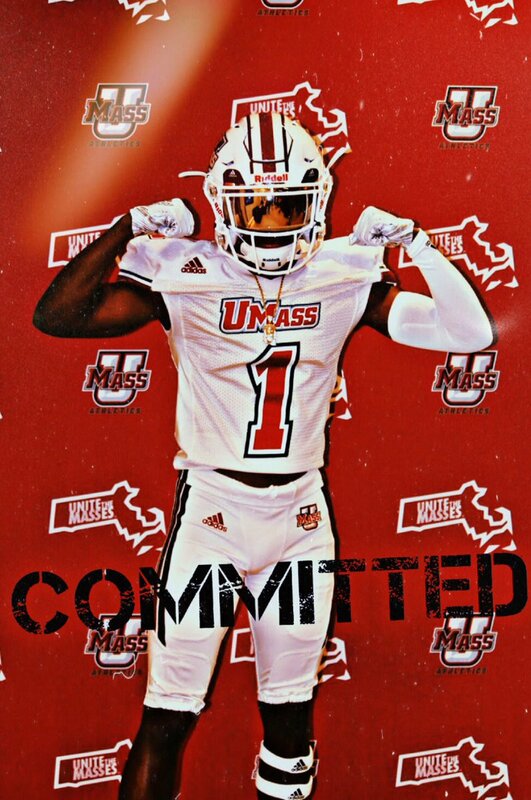 Mike Traini of "Fight Massachusetts" has a post and an interview with 2019 commit Taj Jones. Victor Cruz was from NJ. Let's hope fellow Patterson resident Jones is equally successful. Coach Bell runs the spread offense. 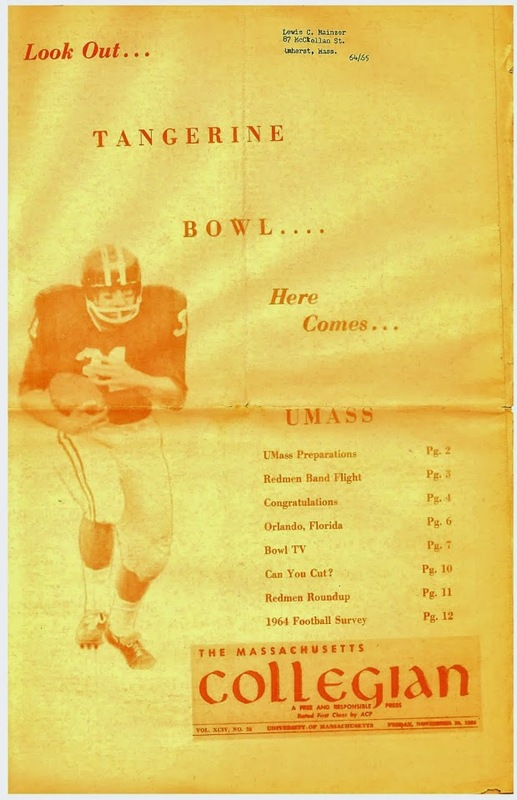 This will be the Minutemen's second stint with the spread offense as Coach Molnar ran the spread in his two years with UMass. The UMass WR corps may be the Minutemen's deepest unit at this time. Jesse Britt has returned to the team. Sadiq Palmer, Brennon Dingle, Zak Simon and Samuel Emilus all did well in 2018. The Minutemen have the receivers to make a smooth transition to the spread. Now we need a QB. 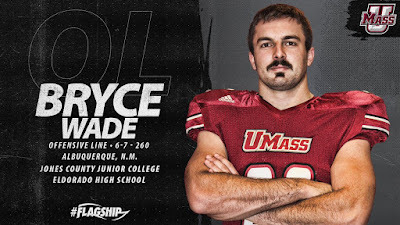 Mike Traini of "Fight Massachusetts" has a post on UMass OL recruit Bryce Wade. Wade has two things you can't coach: length (6-7) and athleticism (former TE). He will have three years of eligibility with the Minutemen. UMass loses both guards to gradation as 2018 was Jake Largay's and Lukas Kotler's last year. 2018 three-star recruit Joshua Jefferson could be in line for one of those positions. Wade is more of a OT type. He has an NFL frame, but needs muscle and weight. 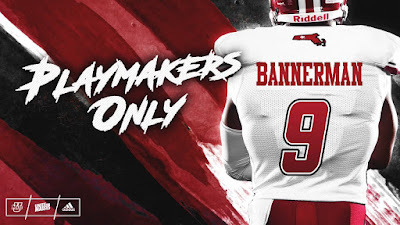 UnderDog Dynasty reports UMass lands eight during early signing period. UConn fires their defensive coordinator. The Breeze breaks down JMU's new assistant coaches including former UMass strength coach Brian Phillips. UMass QB Randall West helps UMass basketball edge Fairleigh Dickenson. UMass opponents continued their bowl win streak. FIU edged Toledo 35-32 in the Bahamas Bowl. BYU rode a big second half to blowout Western Michigan in the Famous Idaho Potato Bowl. Today is winter solstice. Tomorrow a new astronomical year starts as the days get longer. Hope UMass football has a new start in 2019. 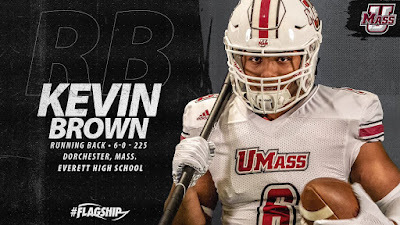 UMass recruit Kevin Brown has been rated three-stars by 247Sports. Josh Wallfish reports coach Bell is waiting for his new staff to take shape. The Berkshire Eagle reports coach Bell is happy but not satisfied over his first wave of recruits. WGME Sports reports Maine coach Harasymiak is leave to become an assistant at Minnesota. HERO Sports has a post on the youngest coaches in FBS. Walt Bell is third youngest. Ohio crushed San Diego in the Frisco Bowl. USF started the season 7-0. They finished 0-6 as they lost to Marshall in the Gasparilla Bowl. 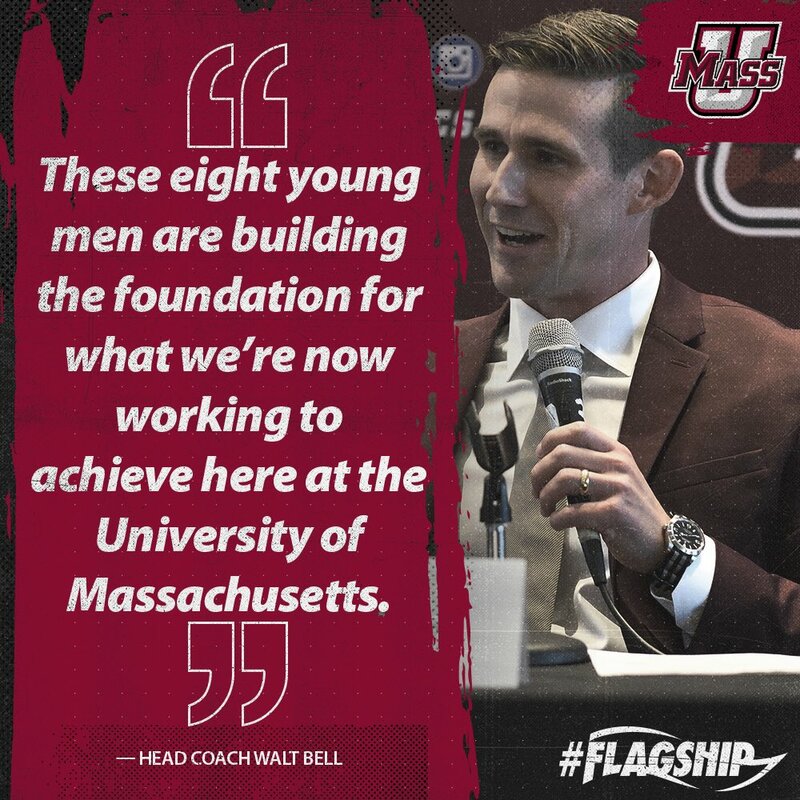 UMass signs eight recruits in Coach Bell's first signing day. Josh Walfish has a post on yesterday's recruits. The eight included a couple of recruits I haven't talked about. Jaylen Bannerman, a 6-4 240 pound DE/LB from Arizona Western JUCO. Bannerman's Tweet he's joining the Minutemen. 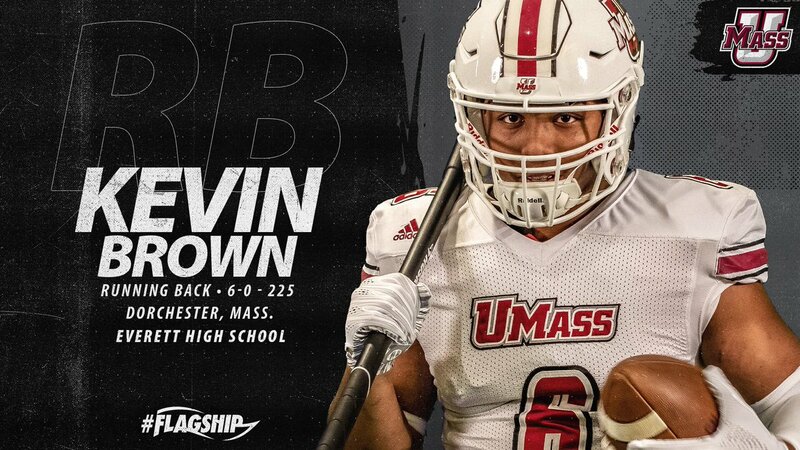 Keven Brown, a 6-0 225 pound RB from Everett, MA also joins the Minutemen. Currently unrated by 247Sports, but probably will be two-stars shortly. 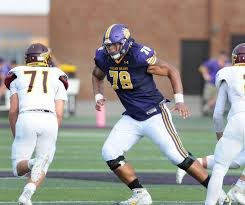 Another addition is Helber Fagundes, a 6-5 290 pound OL who grayshirted last year. I blogged about Fagundes back in Febuary of last year. "Standing 6-5 and 300 pounds, the senior is an imposing linemen. Everett coach John DiBiaso calls Fagundes the best offensive tackle in Massachusetts, a claim backed by the Tide’s dominant rushing attack that resulted in 41.8 points per game." UMass did lose one committ when Mike Ciaffoni flipped to Boston College. 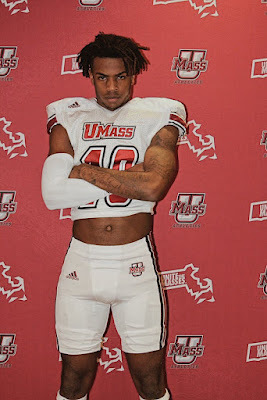 I think UMass fans should be excited about Bell's first efforts. With only two weeks to make offers and a very short staff, Bell landed five three-star recruits and filled some obvious needs. Four of the seven are defensive players including two DL, which was a huge need for the Minutemen. Three of the players are JUCO's designed to fill immediate needs. While I would love UMass recruit mostly four-year players, the Minutemen need to bring in some JUCO's and transfers every year. Consider Mike Ciaffoni flipping to BC. Boston College is a freaking Power-Five school and they made the effort to flip a lightly recruited OL. It shows how scarce FBS recruits are in New England. 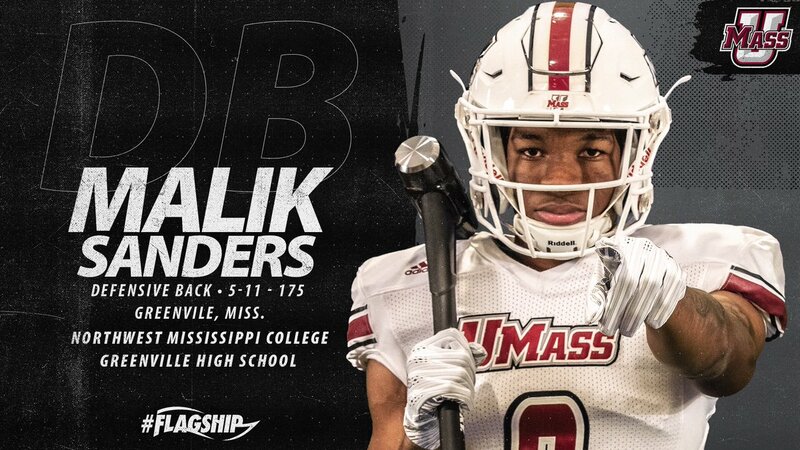 Malik Sanders, a 5-11 175 pound CB from Northwest Mississippi Community College has committed to UMass. Chose UMass over seven other offers all from FBS. With Sanders verbal, Coach Bell has signed seven recruits, six of which are three stars. That ties the total for the entire 2018 recruiting cycle. The Manganaro Family donates $500k for McGuirk improvements. The funds will be applied to a new high-definition video board. I watched Paul Manganaro play back in the day. He lettered in 1982, 83, 85 and was captain in 1986. Manganaro was All-Yankee Conference in 1985. With the new bubble practice facility coming, things are lookin' up at McGuirk. Andy Isabella adds his ninth post season award as he is named First Team All-America by Phil Steele. Nine Minutemen made Steele's All-Independent team for 2018. Andrew Ford, Marquis Young, Jake Largay, Bryton Barr and Isiah Rogers made the first team. Sadiq Palmer, Ray Thomas-Ishman, Joe Previte and Lee Moses made the 2nd team. Marquis Young made the second team as kick returner. UMass adds former San Diego (FCS) coach Jim Jackson as OL coach. Jackson's San Diego bio. Josh Walfish report Coach Bell has a plan for recruiting. The Bangor Daily News reports Maine's Joe Harasymiak is the CAA's lowest paid coach, but he's in line for more lucrative offers. I've blogged about Samuel Okuayinonu before. The 6-3 270 pound JUCO DE visited UMass last weekend. His current 247Sports page has him leaning towards UMass. Okuayinonu also has offers from Oregon and Maryland. Oregon has the best uniforms in FBS, but the Ducks already have one five-star and two three-star DE's in their 2019 recruiting class. I would think he would be in line for far greater playing time with the Minutemen. 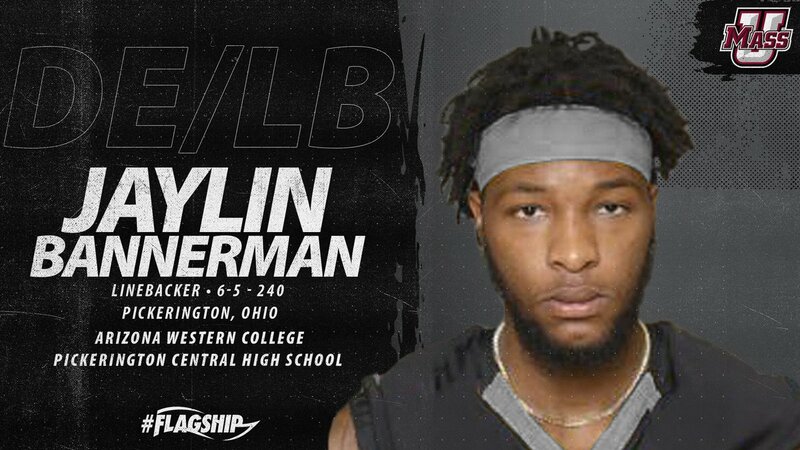 Okuayinonu would be an instant starter in Amherst. 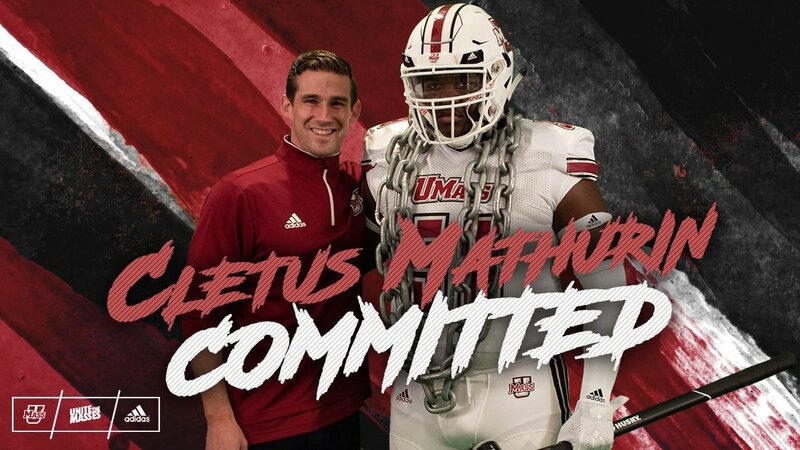 UMass DT verbal Cletus Mathurin has been rated three-stars by 247Sports. That makes five out of six 2019 recruits three-star rated. The Minutemen only signed six three-star recruits for the entire 2018 recruiting cycle. Top Group-of-Five schools typically sign 20 or so three star recruits. Temple, for example has 20 out 21 2019 recruits with a three-star rating. Middle of the road Group-of-Five teams sign in the middle teens. Sub-ten three-star recruits will get the coaching staff fired. Five-start Georgia QB Justin Fields is looking for a new home. I wonder if Coach Bell will give him a call. Fields played against UMass in November. UMass' strength and Conditions coach Brian Phillips moves to James Madison. Not sure if he was not retained by the new staff or he left on his own. Flordia State QB Deondre Francois might stay with the Seminoles if Walt Bell recruit Sam Howell decommits. Well, the big news is the successful recruiting session held this weekend by Coach Bell. Mike Traini of "Fight Massachusetts" has a post on the signings. This is excellent results for Coach Bell who does not even have half a staff yet. Four of the six verbals are defensive players, a major UMass need. Jermaine Johnson could also play WR.. I doubt any of the defensive players will redshirt. Xavier Gonsalves and Mike Claffoni were both recently named Herald All-Scholastics. Of the six 2019 commits, four are three-star players. UMass only signed six total three-star recruits for the entire 2018 recruiting cycle. All in all, a very promising start to Coach Bell's tenure in Amherst. Still needed for the 2019 recruiting class are TE's, running backs and more of every position on defense. Cletus Mathurin, a 6-2 290 pound DT from Cheshire Academy, CT has Tweeted he's committed to UMass. 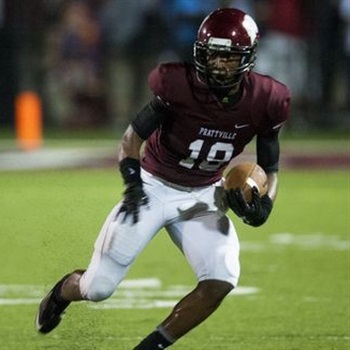 Mathurin chose UMass over FBS offers from Buffalo, Army, Navy and Old Dominion. 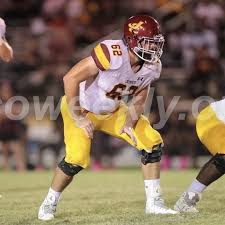 Bryce Wade, a 6-7 260 pound OT from Jones County Junior College has Tweeted he's verbaled to UMass. Chose UMass over offers from Eastern Michigan, New Mexico State and Old Dominion. 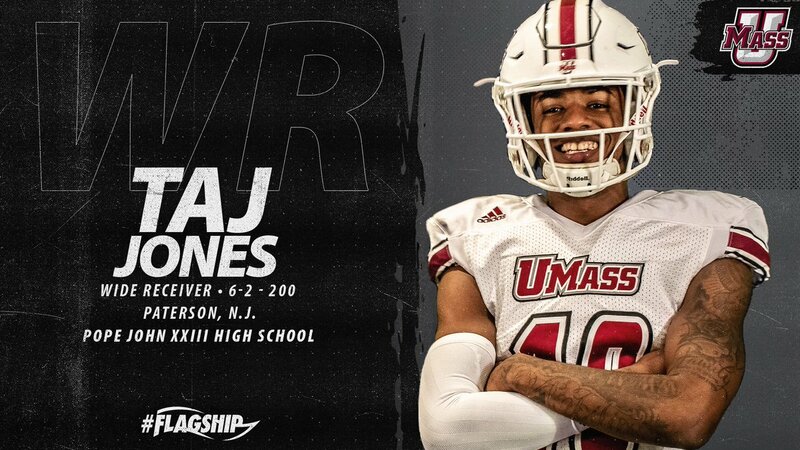 Taj Jones, a 6-2 201 pound WR from Sparta, NJ has committed to UMass. I blogged about Jones on Thursday. Chose UMass over offers from Buffalo, Rutgers, Temple and Old Dominion. Chose UMass over offers from FAU and Maryland. Stetson Bennett a 6-0 185 pound pro-style QB from Jones County Junior college has Tweeted he's received an offer from UMass. Originally walked on at Georgia. Bennett is one of the players visiting UMass this weekend. He also has an offer from Kent State. Xavier Gray, a 6-9 310 pound OL from Massillon, OH has Tweeted he's received an offer from UMass. Gray was a teammate of current UMass QB Jaret Pallotta. Four Minutemen, Bryton Barr, Andy Isabella, Jake Largay and Brice McAllister have been named All-ECAC. In addition, Barr was named ECAC Defensive Player-of-the-Year. 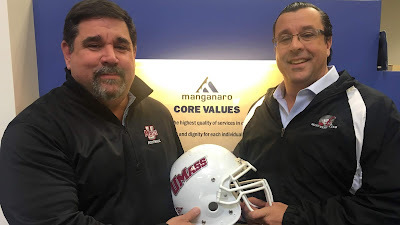 Mike Traini of "Fight Massachusetts" has some news and notes about UMass sports including additions to the footballs staff and recruiting. Forbes.com has a post on the young coaches (including Walt Bell) hired this year in college football. Josh Moore, a 5-11 175 pound WR/DB from Coffeyville Community College has Tweeted he's received an offer from UMass. Coffeyville bio has some stats. Moore has three offers including Bowling Green from the MAC. The UMass website has a post on Andy Isabella being a consensus All-American. Mike Traini of "Fight Massachusetts" also has a story about Isabella being named consensus All-American. In a previous blog post I talked about Don Brown being in contention for the Temple HC job. Miami's Manny Diaz won the job. Thanks to the blog reader who sent me the link. UMass will play at USF in 2022. Taj Jones, a 6-2 201 pound WR from Sparta, NJ has Tweeted he's received an offer from UMass. He'll take an OV to Amherst this weekend. Jones has seven offers with Buffalo, Rutgers and Temple joining UMass from the Northeast. 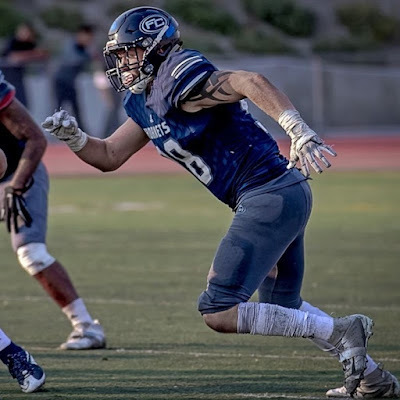 Andy Isabella was named 1st team American Football Coaches Association All-American yesterday. That's Isabella's seventh All-American team. The News-Herald reports Isabella earns his seventh All-American honor. Isabella picks Alabama to win the College Football Playoffs. It's being reported Don Brown has been interviewed for the HC position at Temple. 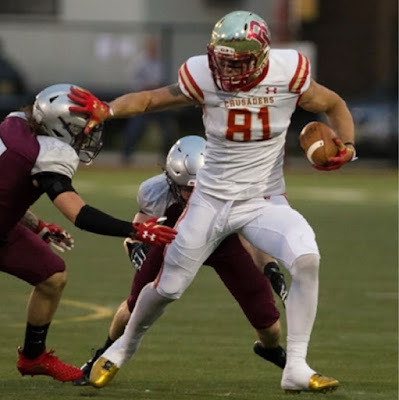 Tyler Devera, a 6-4 227 pound TE from Bergen Catholic will take a OV to UMass this weekend. I've blogged about Devera before. Devera has 20 offers including Buffalo and Rutgers from the Northeast. 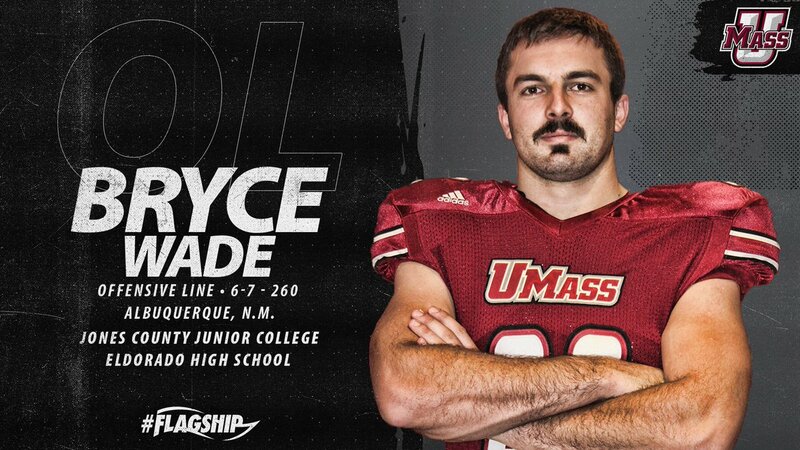 If he's looking for playing time, he'll find it at UMass. Associate Press names Isabella as 2nd team All-America. Football Writers Association of America has Andy as 1st Team All-America. Sporting News has Isabella a 2nd team All-American. Full Press Coverage looks at Isabella as a Raiders draft pick. CBS Sports has prospects who improved their draft ratings in 2018. NJ.com reports Rutgers will face four new coaches in 2019. UMass coaching candidate Phip Longo takes the OC position at North Carolina. Speaking of UNC, they're hoping they can flip Florida State comit Sam Howell now that Walt Bell has moved to UMass. 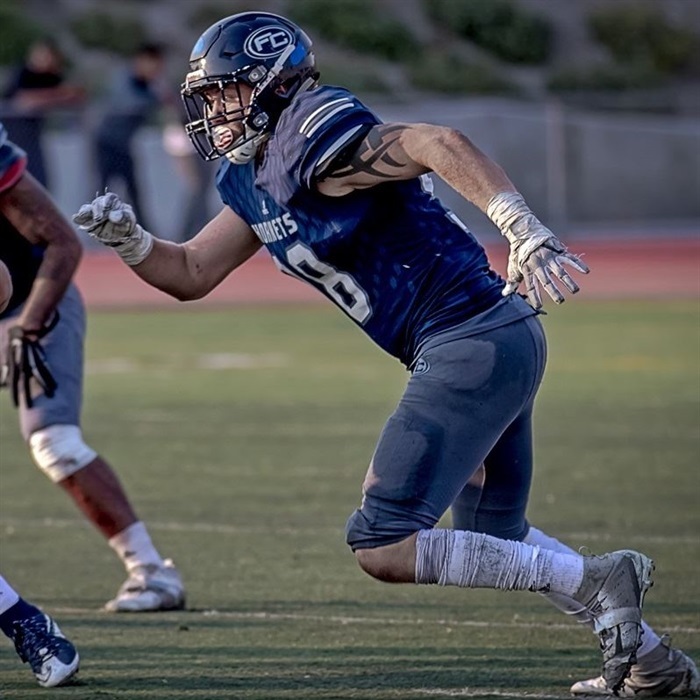 Joey Noble, a 6-4 250 pound JUCO DE from Fullerton College in CA has Tweeted he's received an offer from UMass. 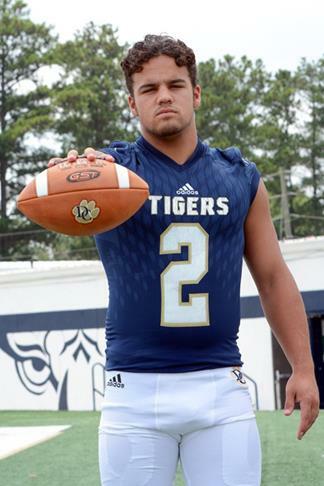 Noble has FBS offers from Eastern Michigan and Tulsa. Cornelius Evans. a 6-4 220 pound OLB from Lawrenceville, GA has Tweeted he's received an offer from UMass. Hudl.com has video from his senior year. First Team all 7-AAAAAAA region. Evans has 10 offers including Coastal Carolina from FBS. 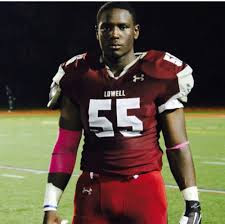 Samuel Okuayinonu, a 6-3 270 pound JUCO DE from Lowell, MA has Tweeted he's received an offer from Coach Bell. Was Minnesota College Conference Defense Player-of-the-Year. 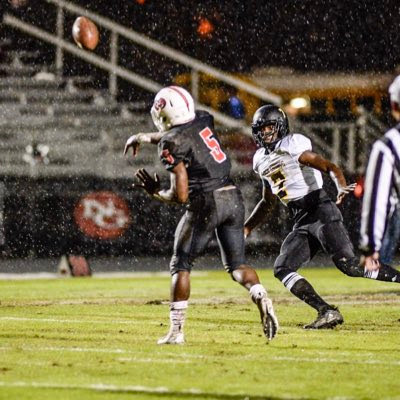 Okuayinonu has an FBS offers from Syracuse and Southern Mississippi. UMass should have plenty of playing time to offer Okuayinonu. UMass WR Jesse Britt has announced he will return to the team and play out his time at UMass. This is good news. Britt is sure to be one of the top three receivers next year. The WR group is one of the few units the Minutemen have that has some depth. Britt will make the unit stronger. Josh Walfish has his week mailbag. The questions this week are all about football and Coach Bell's hire. 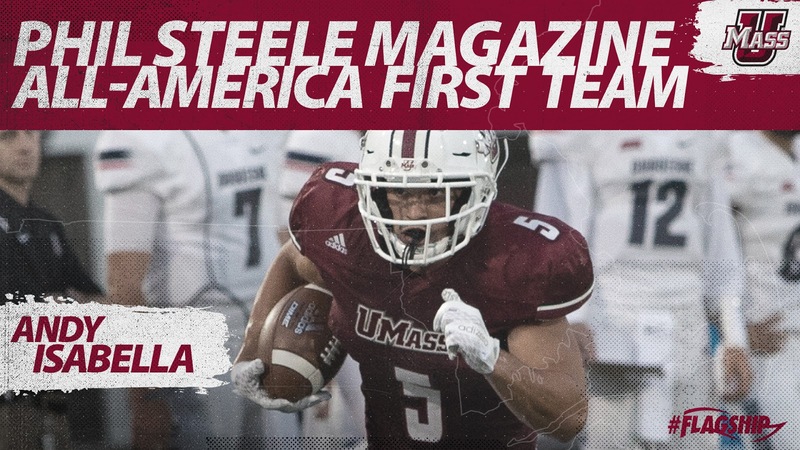 Speaking of Andy Isabella, he was named to the 2018 Sports Illustrated All-American 2nd team. Andy Isabella did not win the Biletnikoff award. The winner, Jerry Jeudy from Alabama was 19th in the nation in receiving yards and 7th in receiving TD's (!?). Explain that one. He was named first-team Walter Camp All-American. Social Media is reporting Luke Paschall will be joining Coach Bell's staff at UMass. Matty Vautour says Bell's success will be difficult to define. Pundits frequently talk about the costs and difficulties of doing something. They rarely comment on the costs of doing nothing. FBS independence is difficult to be sure. However, if UMass wants to in the AAC with Temple and UConn---and that would be a big boost to basketball and the Olympic sports, then our current status is the only way to go. FCS football (or no football at all), would forever close that option. Bowl tie-ins would come if we win some games. Underdog Dynasty has a post on Bell's hiring. 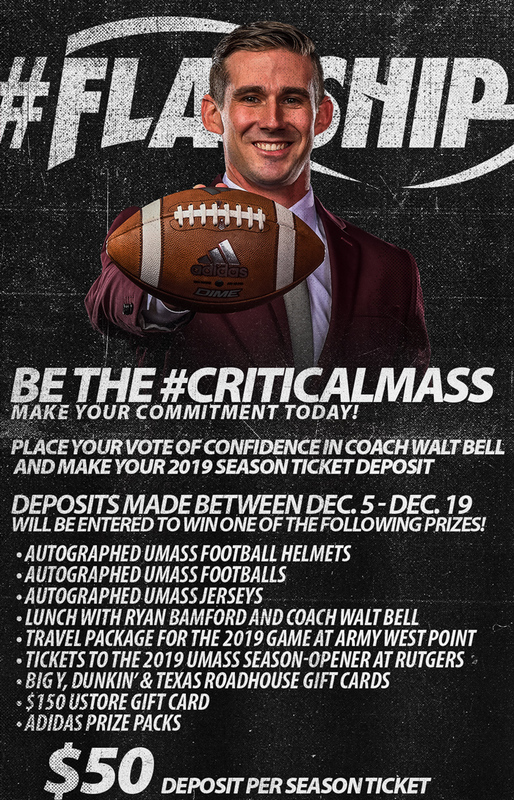 UMass announces a season ticket deposit plan that makes the holder eligible for some nice UMass gifts. 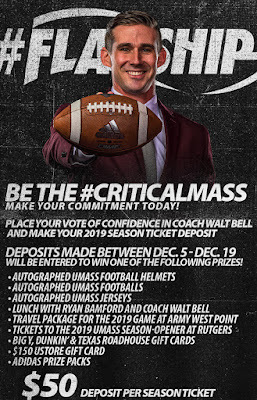 Bling includes a Army travel package, autographed UMass gear and possible lunch with coach Bell. Josh Walfish reports Coach Bell's southern twang seems to fit well in Amherst. Josh talks about Bell building a staff and his defensive policy. As reported in social media, Isiah Rogers will return for his senior season. Josh also talks about A.D. Ryan Bamford is excited about a detail-oriented coach. I think it's interesting Bell had turned down two previous opportunities to take a head coaching position at UMass. IMHO, 2019 is going to be a major challenge given the state of the roster. Right now I'm interested in recruiting for this year and 2020. Howard Herman of the Berkshire Eagle reports UMass officially introduces the Minutemen's next head coach. The Boston Herald says Walt Bell takes over the UMass coaching reins. The Daily Collegian has a post on Bell's press conference and some quotes by Bell on recruiting. Nice story on Andy Isabella's family rooting for him to win the Bilenikoff Award. A Sports Illustrated writer grades 2018's coaching hires including Walt Bell. Bell gets a standing ovation at last night's basketball game. Brandon Collier likes Coach Bell's hire. UMass needs all the recruiting streams it can get. Isiah Rogers says he'll be back for his senior season. 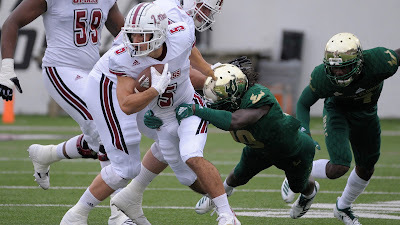 Rogers is the Minutemen's best returning defensive player. Now coach Bell needs to find 10 other guys. The 2019 season gets closer as UMass @ Rutgers gets moved to Friday, August 30th. UMass and Rutgers on national TV? Florida State looks for a candidate to replace Bell as offensive coordinator. There's a report Boston College will hire Liam Coen as offensive coordinator. 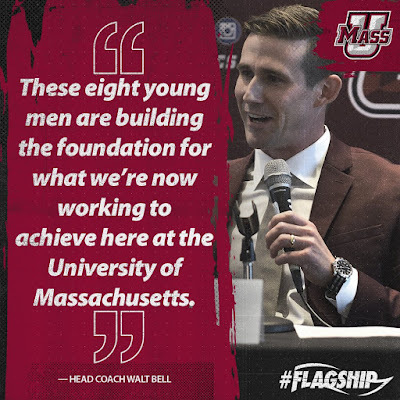 UMass probably would not have enough money, but Bell as head coach and Liam as offensive coordinator would have been an impressive offensive coaching staff. Pro Football Focus thinks Andy Isabella should win the Biletnikoff Award. FAU student threatens to kill a professor over scheduling a final exam at 7:00 am. The Athletic says Coach Bell will get a increased assistant coach salary pool. Note also Bell took a salary cut to move to UMass. Bell's 2018 Florida State passing average was third in the ACC. However, the Seminoles were second to last in sacks given up. And Florida State was last in rushing yards. Sounds like the Seminoles had some O-line troubles this year. The Tallahasse Democrat reports although Bell was the OC he did not take over play calling until November 3rd (the last four games of the season). Chop Chat looks at the impact of Bell leaving for the UMass job. The Sentinel & Enterprise says Bell has been a fast riser in college football coaching. The Daily Nole covers Bell's departure for UMass. The Berkshire Eagle says UMass has gone young and energetic. BTW, I've been meaning to congratulate UMass Hockey for their first ever #1 in the nation ranking. What I know about hockey would fit in a thimble, but it's impressive what UMass hockey has done. UMass hires Florida OC Walt Bell as the Minutemen's next head coach. Mike Traini of "Fight Massachusetts" has a post on Bell's hire. Adam Breneman weighs in on Twitter. I like this quote from Breneman: "Great guy and relentless recruiter". The Gazette has a post on Bell's hire. 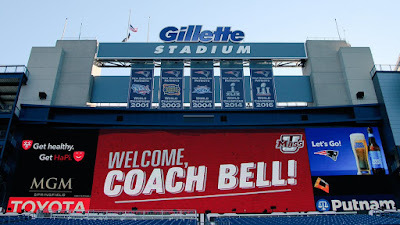 MassLive covers Bell's joining the Minutemen. Bart Simmons of CBS Sports says Bell is a rising star. There are other links, but they just repeat the UMass press release. I'm sure there will be more tomorrow. Unlike some sure-to-gripe commenters, I don't know enough about Bell to make a statement about his hire. However, Bell does have a number of attributes I would like to see in the new UMass coach. For one, he's young. Possibly, the best UMass could do without being in a conference would be to be known as a place where young hot coaches go before they get a lucrative Power Five head coaching job. I have felt strongly these past two years that it was not coaching, but recruiting that was the failure. There's no coaching scheme that can offset going up against a team that's bigger, faster and more athletic. Bell has recruited extensively in the South and that's where the talent is. We can't exist on bottom-five recruiting classes. All-in-all, Coach Bell looks like a good hire. He has lots of Power Five coaching and recruiting experience. Of the names mentioned in the search, I see none who obviously stand above him. And I'm willing to listen to Adam Breneman, who has actually met him as opposed to the opinions of anonymous commenters. 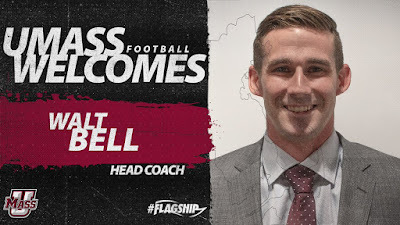 Welcome coach Bell! Go UMass! 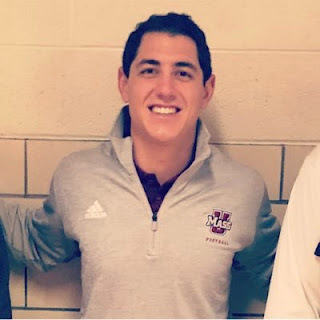 Social media is reporting (if social media can be considered reporting), that former UMass player and coach Joe Cullen has interviewed for the UMass head coaching job. While at UMass Cullen was All-Yankee conference in 1988 and 1989. Was UMass DL coach in 1991 under Jimmy Reid. I actually spoke to him a couple of times back in the day. Georgia Southern, Ohio, USF, BYU, Boston College and FIU all were picked to go to bowl games. Liberty won six games, but two of their victories were over FCS teams and only one counts toward bowl eligibility. Duquesne's season ended in a 51-6 rout in snowy Brookings, South Dakota. The Dukes still went 9-4 for the 2018 season. The Maine Black bears, who's coach Joe Harasymiak, has been mentioned as a possible UMass target, beat Jacksonville State 55-27. Maine will move on to meet Weber State in the quarterfinals. Alabama's Jalen Hurts led the Crimson Tide to a fourth quarter comeback victory over Georgia. The loss likely knocked the Bulldogs out of the FBS playoffs. 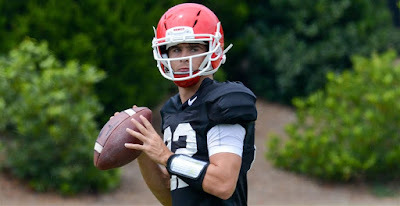 Now if FBS had a real playoff like the rest of college football, Georgia would still be in it. Kyle Grabowski has how former UMass player Vladamar Brower built Central Football into a State title contender. 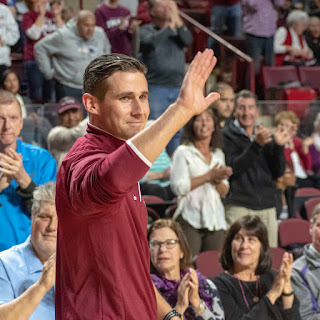 Josh Walfish says UMass A.D. Ryan Bamford is the "front porch" of the Athletic Dept. 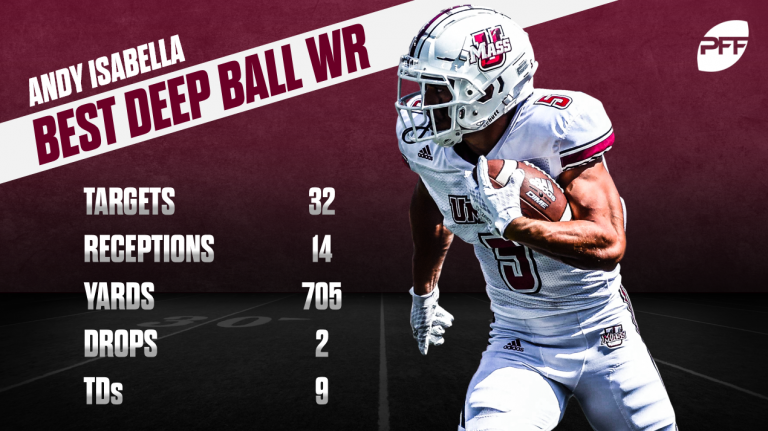 Pro Football Focus Andy Isabella as college football's best deep ball wide Receiver. Former UMass player and coach E.J. Barthel has been hired as an assistant coach at William & Mary. SB Nation updates the football coach hiring and firing so far in 2018. Mentions UMass. Josh Walfish has a post on A.D. Bamford's letter to Gridiron members that I posted yesterday. 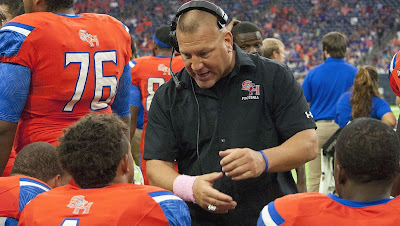 Meanwhile, Mississippi OC Phil Longo is being mentioned as a candidate for the UMass coaching job. Interviewed for the open Texas State job. Longo runs a version of Mike Leach's "Air Raid" offense. The Greenfield Recorder has a story on Shelburne native Jay Burnham being named play-by-play broadcaster for UMass sports. No word yet if Burnham will do UMass football. I hope you all had a wonderful Thanksgiving season. I've received some feedback and questions over the last week from many of you, the public, and the media regarding our search process to find the next leader for the UMass Football Program. I wanted to share my thought process with you regarding this very important search. Prior to my arrival at UMass, the department often employed head coach search committees to assist in the head coach selection process. In my four years in Amherst, we have had a number of coaching searches that have followed this model which included broad participation from campus and community members. Specifically, our men's cross country, field hockey, women's soccer, women's tennis and baseball searches involved interview sessions and ultimately input from a number of constituent groups prior to making a hire. Conversely, when we conducted searches that yielded Greg Carvel (ice hockey), Tory Verdi (women's basketball) and Matt McCall (men's basketball) we limited the people associated with the search to maintain confidentiality and work efficiently through our recruiting efforts, interviews, candidate selection and contract negotiations in a quiet and effective manner. Based on our success in those searches and some additional reasons listed below, I've chosen to conduct the search process on my own with a small group of people consulting me, all who shall remain anonymous. Ultimately, I will select the next leader for UMass Football and will ask our Chancellor to accept my recommendation when the process nears completion. Please understand that I value the input I receive daily from people who care about UMass Athletics. I also see value in including people in our selection process for our next head coach but it is not always in the best interest of the process. At our level of Division I athletics, it is taxing to have a well-run confidential search that ensures the right hire and keeps all of our constituents happy. That said, I am pleased that in the last 10 days I have secured feedback from many of you regarding the attributes you desire in our next head coach. This feedback has been crucial as I form the profile for our next head coach. I can't thank those individuals enough for offering their insights and positive encouragement during this process. I decided to run the basketball, hockey and now football searches with a small group for a number of reasons. First, the confidentiality of the search is vitally important, and the conversations that I have with potential coaches must remain private. For example, I would not have been able to secure Greg Carvel from St. Lawrence without a high-degree of confidentiality during that process. It was important to Greg that his name not become public, and he only had meetings with myself and Chancellor Subbaswamy during his offline visits to Amherst. As a sitting head coach, I wanted to protect him so that if we did not come to terms of employment at UMass, it did not jeopardize Greg at St. Lawrence. In addition, I need to be extremely nimble during this search process. I've been on/off airplanes a great deal this last week, and will continue to do-so throughout this weekend and possibly in to next week. Because of this, it would be hard to mobilize a multi-person committee to fly across the country recruiting candidates and holding interviews on such short notice. Most of my time meeting with candidates will be outside Western Massachusetts. This is standard practice for a job with this profile and intensified timeline. Also, with the increase in activity on social media and all the "unnamed" sources willing to share information, whether accurate or not, I felt it would be best taking the sole lead on this search, and not share any details until an agreement is finalized. I can't give you a specific timeline at this point for when we'll make the hire, just know that I'm working as hard as I can to find the best leader for the UMass Football Program. I want to make all of you that have invested in this program proud of the man we bring to Amherst. Thank you for your understanding during this pursuit. I look forward to introducing the next coach to you very soon! Please feel free to share any additional thoughts or feedback with me directly at rbamford@umass.edu." Thank you, and Go UMass! Note that I'm NOT going e-mail Mr. Bamford. What can I say? Hire a winning coach. He knows that. If I were to contact him, I would say that I support him and the UMass football program. 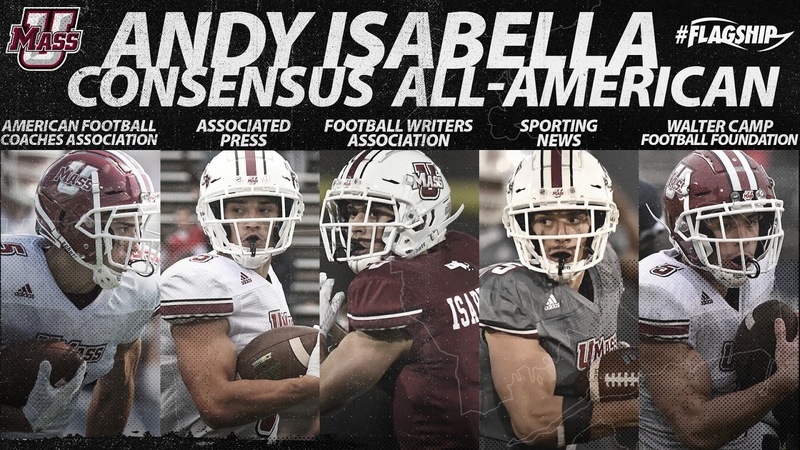 Andy Isabella wins the Harry Agganis/Harold Zimman Award. If you've never read it: The Harry Agganis story. Hogs Haven still thinks UMass is in the MAC, but does a good job of covering Isabella's game against Georgia. Pro Football Focus looks at the top performances by players from the 46 non-bowl eligible teams. Underdog Dyansty looks at Maine's Joe Harasymiak as a candidate for the UMass head coaching position. UConn's Daily Campus writers debate the low point of the the Huskies season. Several of them quote to loss to UMass.